As a leading provider of supercars for hire, Luxury & Services endeavours to offer its clients the latest and most appealing vehicles for memorable driving experiences. We relish the chance to match driving enthusiasts with the finest supercars on the market, at an affordable price. As such, it is with great pleasure that we present that latest supercar to join the Luxury & Services fleet: the brand new Range Rover Velar. This latest addition to the Luxury & Services troop is that rare but brilliant combination of family-friendly, injected with the roaring power and effortless acceleration which comes from its ferocious 2993 cc engine. This Range Rover is even fitted with its own unique Terrain Response systems, which enable you to select the terrain you are covering and receive an optimised performance to your particular course: you simply choose one of its tailored driving modes and you’re set to receive an automatically enhanced experience. That’s what we call a relaxing drive. With regards to design, this is a seriously elegant vehicle which pulls of streamlined and sophisticated, despite being roomy enough to transport your whole family in comfort. 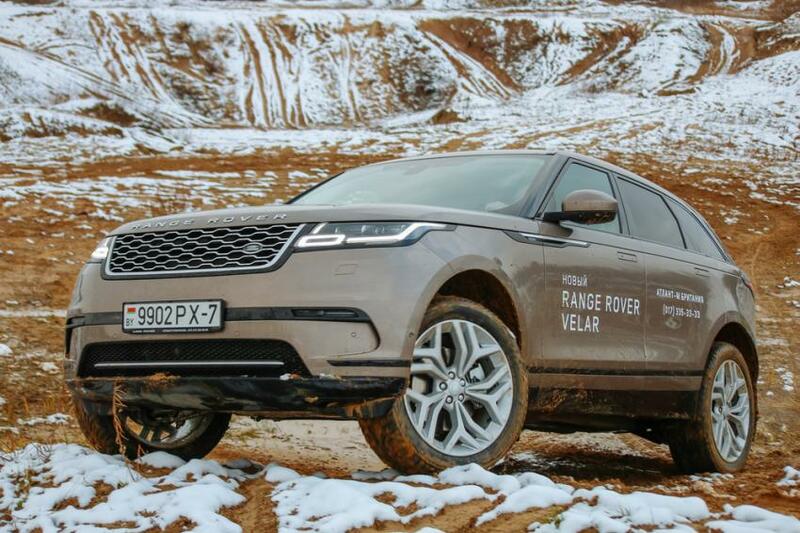 But the Range Rover Velar is not just spectacular to look at; it is also powerful enough to give you an incredible driving experience on any terrain, including up in the mountains. This Range Rover’s striking proportions will get you noticed for all the right reasons, and the All Wheel Drive and Driveline Dynamics offer a driving experience which is as thrilling as the model’s appearance. The revolutionary specifications of the Range Rover Velar are just as appealing as its supremely attractive aesthetic. The state of the art air suspension makes it a sublimely comfortable drive whatever the conditions, and it possesses superb agility for a vehicle of its size - just what you’d expect from this manufacturer. The Velar boasts a V6, 3-litre engine, a 300 horse power, and a maximum speed of 241 km/hour. When it comes to Range Rover rental in France we’re known to offer the best. The Velar is available in the Alps for the winter skiing season, and, in all honesty, we couldn’t think of a more suitable mode of transport for you and your family to make the most of your alpine holiday. It’s more than capable of carrying five passengers as well as all the luggage you’ll need for your skiing vacation. We will deliver your vehicle rental to most locations in western Europe. So why not choose to rent it from Luxury & services and make the journey as much of a joy as the trip itself? The Range Rover Velar can be rented through Luxury & Services from just €585 per day! For more information, contact the team.